Enjoy this little collection of interesting Glen Campbell facts--- he's certainly one of the most influential country singers of the 1960's and 1970's. 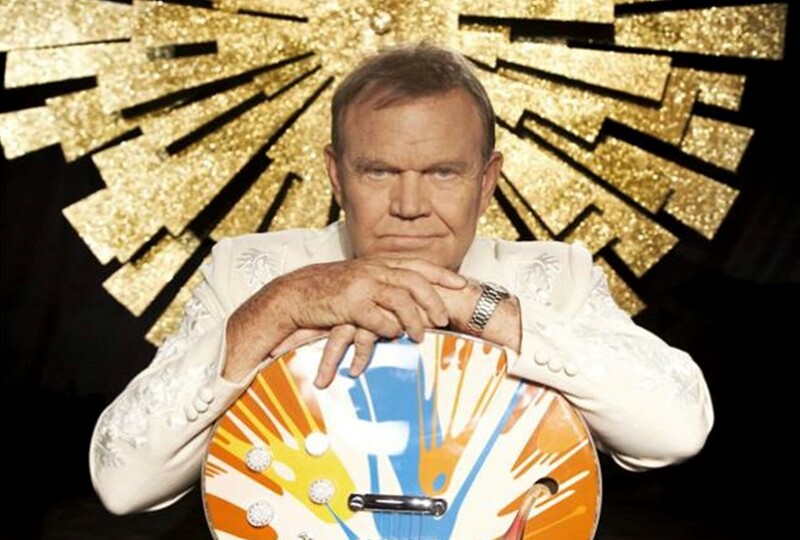 Arkansas native Glen Campbell is an American country and rock music icon. Spending over five decades in show business, Campbell won six Grammy Awards, released 70 albums, and hosted the The Glen Campbell Goodtime Hour on CBS. 1. In the early 1980’s Campbell was engaged to country singer Tanya Tucker, who was more than 20 years younger than him. The two did multiple duets together, including “Shoulder to Shoulder” below. 3. Glen Campbell is a father to eight children, from four different marriages. His last wife was Kim Woolen, whom married in 1982. Three of the children were excluded from his estate and are all from his marriage to his second wife, Billie Jean Nunley. That marriage ended in divorce in 1976. 4. Glen Campbell played on The Beach Boys’ classic album Pet Sounds in 1966. 5. In 2012, Campbell received a Lifetime Achievement Award at the Grammy Awards. 6. Glen Campbell Height – Campbell was 6’0″ tall. 7. 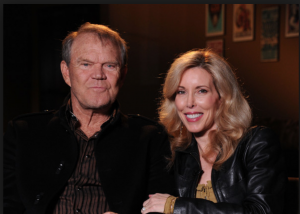 Glen Campbell Cause of Death – In June of 2011, Campbell announced he had been diagnosed with Alzheimer’s disease. Campbell died in Nashville, Tennessee, on August 8, 2017, at the age of 81. 8. Prior Campbell Marriages – Campbell was married to Diane Kirk from 1955-1959. This marriage resulted in his eldest daughter, Debby. Campbell married Sarah Barg, in September 1976. The couple had one child named Dillon and divorced in 1980. Campbell married Kim Woollen in 1982. They had three children together, Cal, Shannon, and Ashley. 9. Glen Campbell Songs – He released over 65 albums in a career that spanned five decades, selling over 45 million records worldwide (twelve gold albums, four platinum albums, and one double-platinum album). Campbell recorded and released 60 studio albums and six live albums between 1962 and 2017. 10. Campbell’s Final Album – In April 2017, Campbell’s final album, Adiós, was announced, featuring twelve songs from his final 2012–13 sessions. Share this with other Glen Campbell fans!